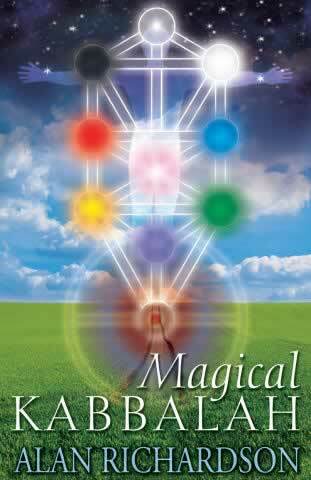 The Magical Kabbalah is a revised and expanded re-release of an Introduction to the Mystical Qabalah which was written when the author was a teenager, has never been out of print in 30 years and is regarded by some as the clearest, simplest and most effective book on the topic ever written. This excellent introduction presents a spiritual system that anyone can use to enhance his or her life. The reader learns how the Kabbalah can and should be self-taught, without joining expensive groups and paying for dodgy teachers with dubious motives. Whatever your spiritual path, these tried and tested methods will expand your consciousness and broaden your grasp of the Western Esoteric Traditions as they exist today. They will also show how each person can help expand these traditions and become self-initiated in safe and potent ways. Explore both the theories and principles behind ritual practice. Explore the ways in which the Kabbalah - the Tree of Life - can apply to (and make sense of) every aspect of everyday life. Perform astral magic, use the Tarot for self-exploration, energise ancient myths to make them come alive, revisit past lives, build patterns in your aura, work with the imagery of Egyptian and Arthurian magic, banish unpleasant atmospheres and create gates into other dimensions. Alan Richardson lives in Wessex, England and holds a full time job in the real world like any other mortal and like every other real spiritual teacher. He is the author of a dozen books on magic including The Inner Guide to Egypt, The Google Tantra, Spirits of the Stones, plus biographies of Dion Fortune, Christine Hartley, and William G. Gray.